AN ALGERIAN MAN has been awarded €700 in compensation after a Boots pharmacy questioned him over why he wanted to buy hydrogen peroxide. The man complained to the Workplace Relations Commission (WRC) about the incident, claiming he was discriminated against because of his race and religion, contrary to the grounds of the Equal Status Acts. In his submission to the WRC, the man said he and his wife were regular customers at the pharmacy in question. He said his wife started to use natural cleaning products and asked him to purchase two bottles of vinegar, a bottle of distilled witch hazel, a bottle of hydrogen peroxide, a bottle of rubbing alcohol and bicarbonate of soda. When at the pharmacy, the man said the assistant who helped him to locate the surgical spirits and the witch hazel asked him why he was purchasing hydrogen peroxide. He said he felt he as though he was “put on the spot” and told the assistant he was using it for first aid purposes and cleaning. The assistant then went to speak to another member of staff. The complainant said he “felt uncomfortable and embarrassed about being questioned about an over-the-counter product that he used in his house”. According to the WRC judgement, the man was then told he needed a prescription to buy the hydrogen peroxide as this was the pharmacy’s policy. The document states that the man was then approached by another member of staff and questioned again about why he was purchasing hydrogen peroxide. “She told him it was not meant for the purposes for which he was buying the product. She then told him it was not in stock but she could order it for him,” the report notes. The man went to another pharmacy and purchased the product without any questions. He said that, on the same day, he asked an Irish friend to go to the first pharmacy to purchase hydrogen peroxide. The report notes that the Irishman was told it was not in stock but the staff would order it for him. “The complainant said that the Irish person was not asked any questions about why he needed the product. The complainant submits that he was discriminated against because of his Algerian nationality and his religion and treated less favourably than an Irish national was treated in similar circumstances. When responding to the complaint made against it, Boots denied that the man was subject to discriminatory treatment. “The actions taken by the staff of the respondent on the day in question were taken in order to comply with company procedures and legislation in relation to the control of explosive precursors [in this case, hydrogen peroxide],” the document notes. The pharmacy’s response stated that when questioned as to why he was buying hydrogen peroxide the man appeared unclear, initially saying it was for first aid and then saying it was for household cleaning. He appeared unfamiliar with the regular use of hydrogen peroxide and he appeared nervous and uneasy by the routine questioning put to him by the respondent’s employee in accordance with the training. “For these reasons, the pharmacy assistant considered the transaction suspicious and refused the sale,” the document states. The pharmacy assistant who helped the man locate the products said the transaction seemed “suspicious”. She said she is required to ask questions if a customer is “unclear or unfamiliar with [a product's] intended use”. “The complainant told her he was making a cat repellent. She denied that she told the complainant he needed a prescription to purchase the product. “She then spoke to the pharmacist who in turn spoke to the complainant. She said that the complainant’s religion or race had nothing to do with her decision to query the complainant,” the document notes. The woman said she had to comply with regulations, otherwise she could be disciplined. She said after questioning the complainant the pharmacist decided it was not a suspicious transaction and she agreed to order the product as it was not in stock. 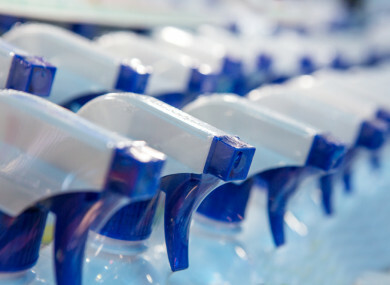 When making their decision, the WRC adjudicator said EU and Irish regulations do not apply to the sale of hydrogen peroxide in concentration levels at or below 12%. The product in question had a concentration level of 6%. “Therefore, it was not necessary to ask the questions as, it could not have been a suspicious transaction as defined in the regulations,” the WRC report notes. The document states that the man believes he was seen as a suspicious customer “because of the colour of his skin and his beard”. The adductor noted that the complainant purchased hydrogen peroxide in another pharmacy without being subjected to any questioning. “Likewise, I note that an Irish person was not subjected to any questions when he sought to purchase hydrogen peroxide from the respondent later that day. If the respondent’s policy in relation to the sale of hydrogen peroxide applied to all customers equally, the Irish customer would have been asked questions about its intended use also. The adjudicator found that the man was discriminated against on the ground of his race, but not his religion. They ordered that the respondent pay the man €700 to “compensate him for the distress caused to him”. Email “Boots pharmacy which questioned man about hydrogen peroxide 'discriminated on grounds of race'”. Feedback on “Boots pharmacy which questioned man about hydrogen peroxide 'discriminated on grounds of race'”.